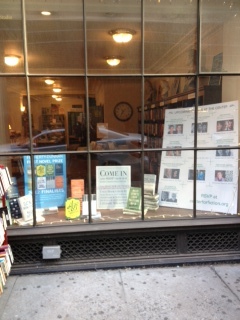 On my last day in New York City, I decided to make a pilgrimage to a bookstore I visited last year. I walked until my feet were blistered, but I could not retrace my steps back to that little bit of nostalgia. I wandered off in a different direction instead. It started to rain. The wind pressed against me, but I’m not one to let weather ruin a chance to wander through any city. Nestled amongst a nondescript row of office buildings, a burgundy banner waved in the wind heralding The Center for Fiction, located at 17 East 47 Street. Whether you are a writer or passionate about the written word, here is a warm and welcoming place for all lovers of story. I was wet and cold and the word fiction makes my heart beat faster. The combination of warmth and a center dedicated to my favorite word was more than I could resist. I was not disappointed. 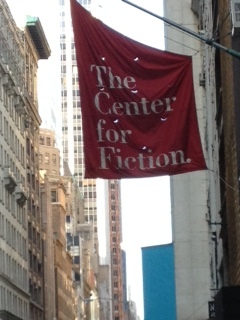 The Center for Fiction is not large, but it manages to be at once a library, a bookstore, a quiet space for authors to work, and a location of great literary events. So good to find a little corner of the world still celebrating, maintaining and supporting the advancement of the art of telling stories. The staff was very friendly. 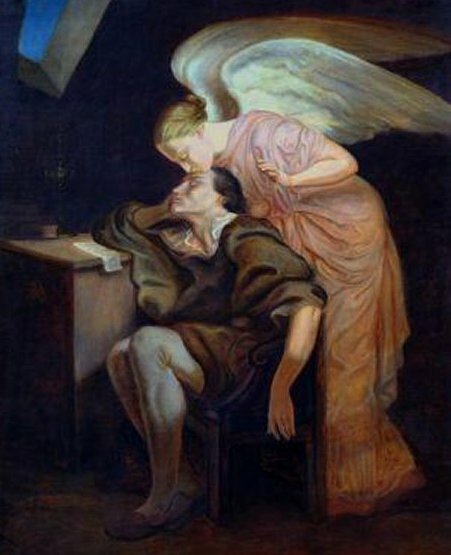 The girl working behind the desk chatted with me for a long time about their section dedicated to translations of European authors who are still relatively unknown, at least in the States (and most especially to me). I ended up walking away with a lovely gem of a book, The Twin by Gerbrand Bakker. I might never have discovered such a good read on my own. That in itself was worth getting lost in the rain, but I also managed to walk away with a pile of used books that came to a total of $10. The Center for Fiction is open to the public, but it is also one of the few membership libraries still in operation in the United States. The benefits of membership include attendance at events with free or discount admission, reading discussion groups, access to their lending library of over 85,000 titles as well as discounts at their bookstore. Above all, membership supports an independent, not for profit organization dedicated to keeping the written word alive and well. If you find yourself in mid-town Manhattan, leave your friends at the souvenir shop and stop by The Center for Fiction for a gift of good books and memories that are just as much a part of the city as another tiny replica of the Empire State Building (and yes, I bought my children tiny replicas of the Empire State Building too).